This custom printed apparel business could be the turn-key opportunity that you’ve been waiting for! Become the proud owner of this well established retail opportunity that offers a well situated storefront location with 751 square feet of space, as well as a professionally designed website that holds a solid online presence. Services include apparel printing, heat press and embroidery. 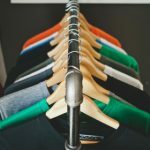 Operating since 2014, and offering a unique-to-the-market quick turnaround time on completely custom clothing, this business has attracted a great customer base, including individual retail customers, corporate clients, and private groups. As of the fall 2018, the business started offering embroidery as well. This custom apparel business comes to it’s new owner ready for immediate operation, and with great possibilities for new technologies that can be easily implemented in order to grow your new business quickly. With so many opportunities available, the new owner could grow this business easily!